Materials Cost of $45-65 per finished piece, depending on its size, for all materials needed, use of tools, and handouts. Your choice of a vintage spigot handle will provide a sturdy, attractive base for your basket. 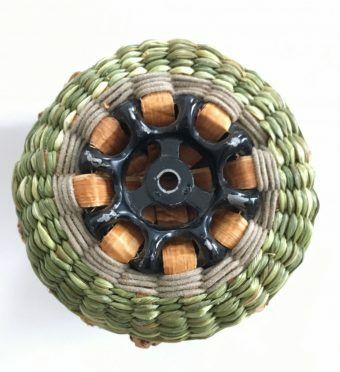 You’ll begin by threading cedar bark spokes through it, then twine and shape the sides with your selected materials and techniques. Iris leaves, soft rush, cotton cords, barks and/or roots are provided. 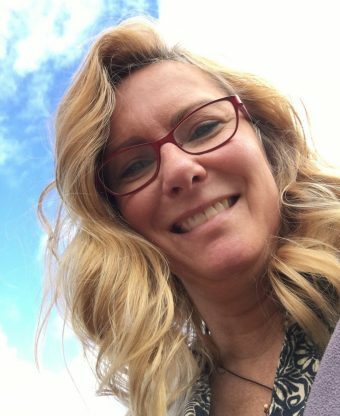 For construction you might choose between-weave twining with alternating rows of willow bark and assorted knots, T-Twining, Triple twining and/or Reverse twining with swirled chased options, as well as making cordage. You’ll have the option of following a patterned example or creating your own unique sculptural basket. 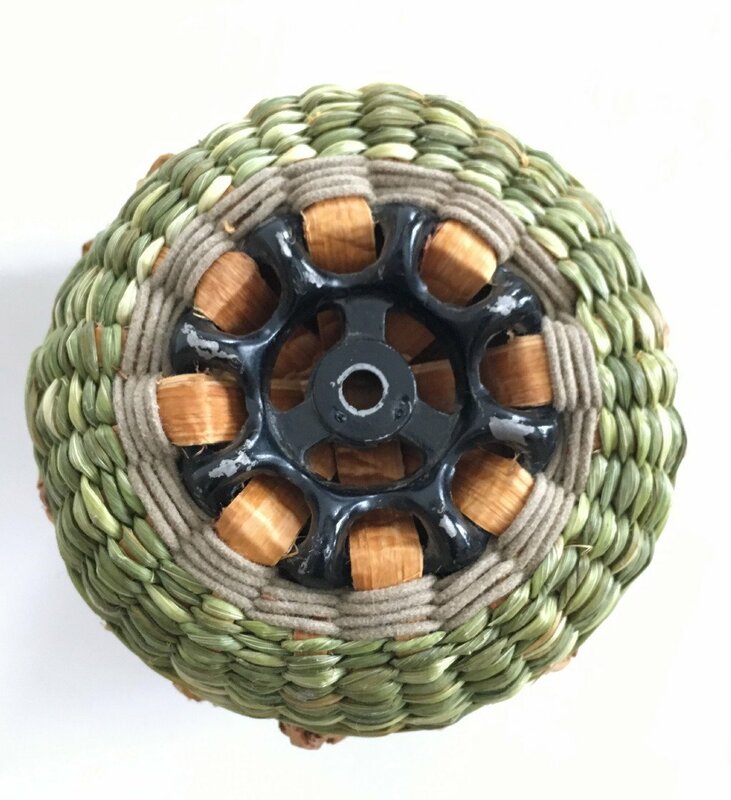 As an artist focused in basketry, Karen Tembreull is continually inspired by the abundance of natural material that surrounds her Upper Michigan home studio. 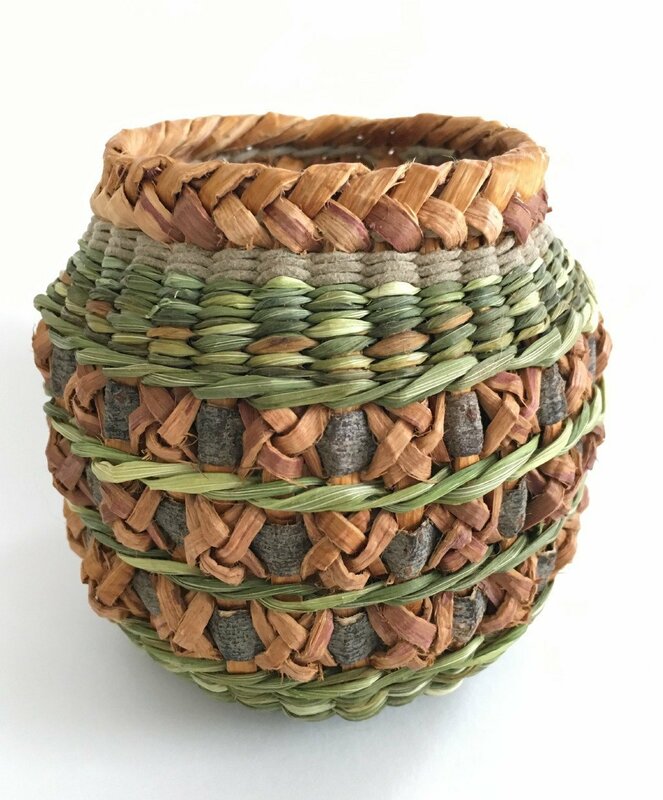 She has made baskets since 1983 and taught since the early 90’s, primarily using locally gathered barks, roots and fibers. Karen’s work has won many awards, including most recently, four Featured Artist awards and one Arts Network award for her two pieces in the 2018 ‘Northern Exposure XXV’ show at the Bonifas Arts Center in Escanaba, MI.